This year, in partnership with the British Council and the GREAT Britain Campaign, Arts University Bournemouth will be offering one full 1 year scholarship to a Turkish student applying for a BA Degree course in any subject. 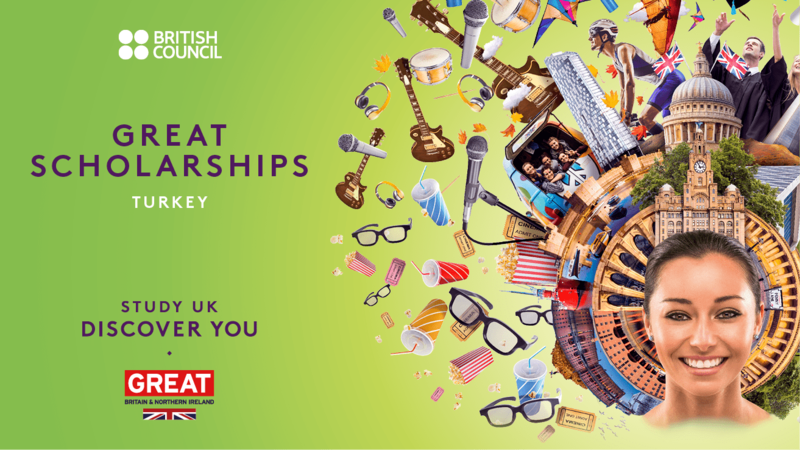 This scholarship scheme is part of the “GREAT Scholarships 2019 – Turkey” campaign, which has been launched by the British Council together with 9 UK universities to support more students in Turkey to get access to the excellent UK higher education opportunities. The total value of the scholarship scheme is nearly £1 million. This scholarship scheme will offer an exciting opportunity for Turkish students wishing to get financial support to pursue study on degree levels in the UK. Students can apply for courses in subjects including engineering, law, business, art and design, bio-sciences, IT and more, at the 9 institutions across England, Scotland, Wales and Northern Ireland. For more information on the GREAT Scholarships 2019, please visit the British Council’s website. One successful AUB applicant will be awarded a £16,950 scholarship to cover the tuition fees for the first year of their undergraduate (BA) degree. The student will still have to fund themselves for the second and third year of their degree. This scholarship is only available to students starting their course in September 2019. For those who are aren’t successful in winning the scholarship, there are other discounts available, such as the early payment discount (and the progression discount for those who have studied here before, for example on our Foundation or our Summer Courses). Please contact international@aub.ac.uk if you have any queries.